Phenomenal machine washable lamb pelts from our Lincoln flock in a range of colors including creamy white, silver, variegated, charcoal and black. With a lock length of 6" or more, these make a wonderful accent on living room or bedroom furniture. Great for the back of a rocking chair or for snuggling by the hearth - please contact us for color availability. 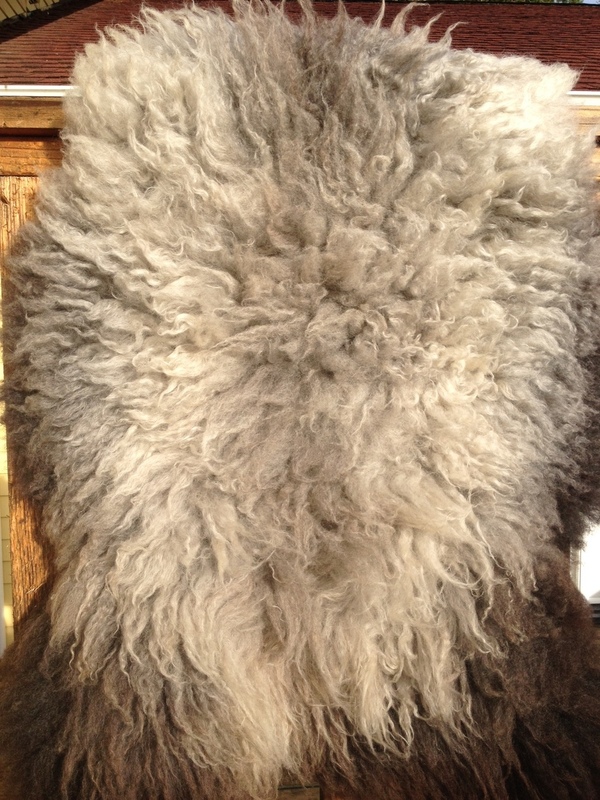 $150/pelt plus shipping.